The Environmental Logging System, or Envilog, is a portable device that could take actual readings of temperature, rainfall, wind speed, wind direction, amount of sunlight, atmospheric pressure, humidity, and water height in rice fields. Envilog, developed by a team of young robotics enthusiasts, bagged the Most Innovative App (or Special Jury Award) from last year's hugely successful BigAs Hackathon, event organized by IRRI in collaboration with SMART Communications in the Philippines. 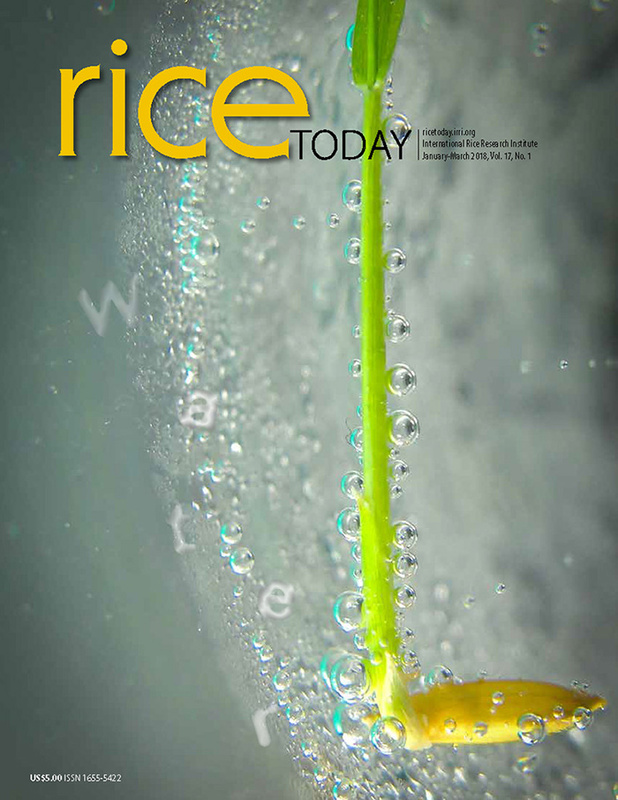 Envilog will be helpful for rice researchers who want environment data at their fingertips anytime, anywhere. It’s a researcher's dream that could soon turn into reality. "We worked on making last year's version of our Envilog more versatile so that researchers now have the option to choose just the sensors they want, such as temperature, humidity, wind speed, and not others," said Franklin Binos II, leader of PhilRobotics, the team that made Envilog. "Plus, I think this upgraded version now works pretty much like an automated weather station," he added. Envilog can send stored data via GSM, a standard way for sharing data on mobile networks, while GPS and SD card options can be used to save or back-up data. It operates on a solar-powered battery. "The relationship between IRRI and PhilRobotics is a perfect match that will enable us to introduce affordable technology into farmer's fields," said Marco van den Berg, IRRI chief information officer. "PhilRobotics will further develop Envilog and come up with a prototype that's nearly ready to go," he added. Marco also mentioned that several IRRI scientists have shown an interest in Envilog and may be able to help field-test and validate it when available. 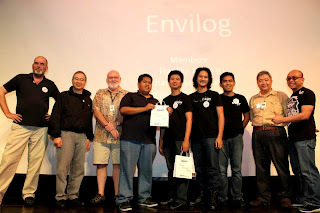 The PhilRobotics team will present to IRRI staff about Envilog in a seminar on Thursday, 7 February 2013. The next big tech push for rice is coming in August—the BigAs2 Hack.